Cristiano Ronaldo is a Portuguese man nationality, and is a superstar football player at the club Real Madrid, is rumored to be coming to Bali. Cristiano Ronaldo came to Bali to attend the mangrove planting event, Wednesday, June 26, 2013. He was named as an ambassador for mangrove conservation in Bali through Mangrove Care Forum, March 11, 2013. 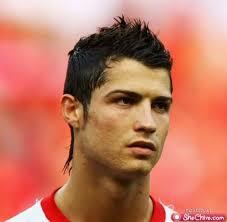 Cristiano Ronaldo will be attending "Bali Mangrove Save, Save Earth (BSMSE)", in Forest Park Ngurah Rai Bali, Wednesday, June 26, 2013. This event aims to increase public awareness of the importance of mangrove forests. Due to current conditions in the mangrove forest is very worrying. There are outstanding issues in Bali, that the activities which will be attended by Cristiano Ronaldo, this event is an attempt to divert the attention of the people of Bali, the destruction of mangrove forests due Bali toll road construction, parts of which damage the mangrove forests. Launching ceremony "Bali Mangrove Save, Save Earth (BSMSE)" will be preceded by a symbolic handover of mangrove seedlings, mangrove fruit processing equipment, and tool bins enumerator. But it is not certain as to what the program is going to run next. It is feared that this event is only for cleaning the image of the damage inflicted on Bali toll road construction. In a way it will also be held delivery of certificates, as ambassador Care Forum Mangrove (FPM) Bali, the world's Portuguese football star, Cristiano Ronaldo. Ronaldo designation as an ambassador at Mangrove Care Forum, intended to fight for mangrove conservation in Indonesia.